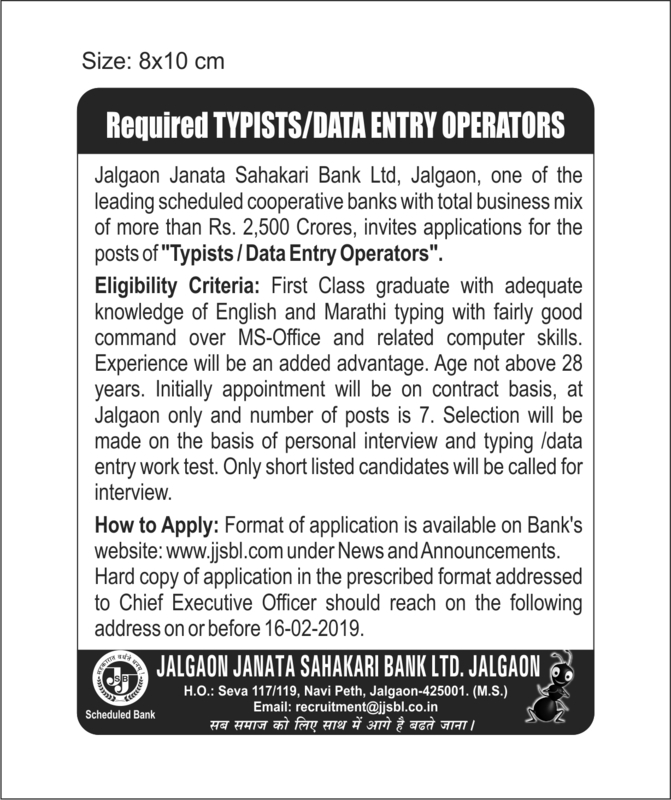 Jalgaon Janata Sahakari Bank Ltd. inviting application for 07 Data Entry Operators posts. Interested candidates can apply by post/by hand on below given bank address. For more details like age limit, salary, how to apply, selection process please refer the below article. Hiring organization:- Jalgaon Janata Sahakari Bank Ltd.
Age Limit:- Maximum age limit is 28 years. First Class graduate with adequate knowledge of English and Marathi typing with fairly good command over MS-Office and relates computer skills. Experience will be an added advantage. Interested candidates can apply through by post/by hand on the below given departmental address. Application given in the important web link section. 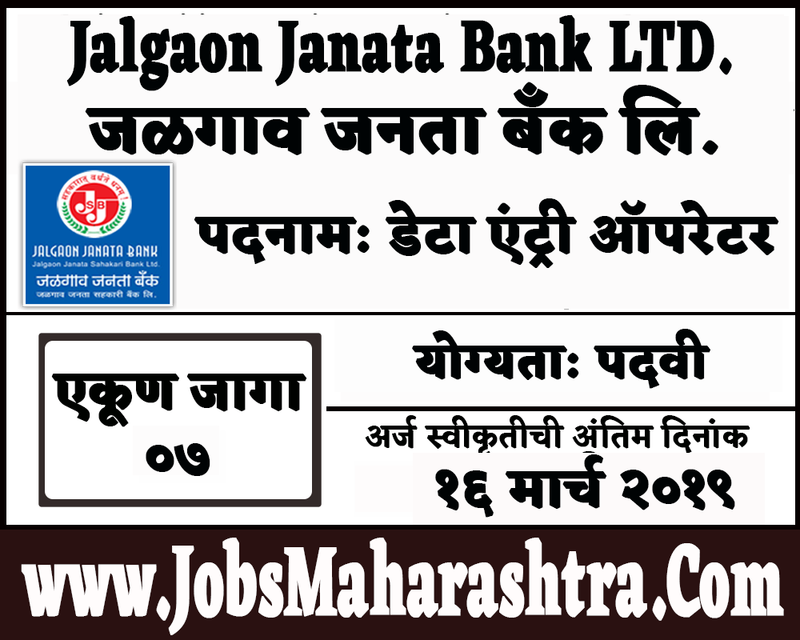 Address: The Chief Executive Officer, Jalgaon Janata Sahakari Bank Ltd. Seva, 117-119, NaviPeth, Jalgaon Pin 425 001. Selection will be made on the basis of a personal interview and typing/data entry work test. Only shortlisted candidates will be called for an interview.